In the previous post I looked at the passing of Carrie Fisher, Michael Massee, Jon Polito, Florence Henderson, David Bowie, Patty Duke, Alan Rickman, Alan Thicke, Charmian Carr, Dan Haggerty, Kenny Baker, Robert Vaughn, Gene Wilder and Ronnie Corbett. Here are some more unique individuals who failed to see out 2016. Andrew Sachs won the hearts of millions of television fans back in the seventies, plus a spot in TV history, playing the much-maligned Spanish waiter Manuel to John Cleese’s Basil Fawlty in the classic British series Fawlty Towers (1975-9). Andrew, incidentally, was neither British nor Spanish. He was born to Jewish parents in Berlin prior to the Nazis taking power. The family escaped to Britain just before Kristallnacht. Actress Georgina Baillie (Satanic Sluts) is his grand-daughter. Andrew was suffering from vascular dementia when he died in November. Lovers of Rodgers and Hammerstein musicals would be familiar with the name Marni Nixon, but others are probably wondering who she was. It is no secret that Deborah Kerr, Natalie Wood and Audrey Hepburn did not supply the vocals for the songs they delivered in The King and I (1956), West Side Story (1961) and My Fair Lady (1964) respectively. Marni did the lot. It took until The Sound of Music (1965) before she actually appeared on-screen. As Sister Sophia she got to sing a couple of solo lines in ‘How Do You Solve a Problem like Maria?’ Other than in The Sound of Music, you will not find her name among the credits in those other three films. With the demise of the musical genre she went on the road, billed in her cabaret show as ‘The Voice of Hollywood’. Thrice married, one of her husbands was film composer Ernest Gold who picked up an Oscar for Exodus in 1960. Breast cancer took the wonderfully talented Marni in July. Bernard Fox, the quintessential stiff upper lip, bumbling, stuffy Englishman, was actually a Welshman. Fans of the sixties hit TV series Bewitched would remember him playing Dr Bombay in 19 episodes. He was also Colonel Crittenden in Hogan’s Heroes. In more recent times he landed prize roles in Titanic (1997) and as Winston Havelock in The Mummy in 1999. If you ever see the superb 1958 film A Night to Remember, easily the best ‘Titanic’ movie yet made, you might spot him as Fred Fleet, the sailor in the crow’s nest who spots the iceberg. Bernard fell to heart failure in December. It is not widely known, but George Kennedy won two Bronze Stars for valor while serving under General George ‘Blood and Guts’ Patton during World War Two. In Hollywood he had a lot of small roles in TV westerns before winning a Best Supporting Actor Oscar for Cool Hand Luke (1967). From that time onwards he was never out of work and even demonstrated a flair for comedy in ‘The Naked Gun’ films opposite Leslie Nielsen in the eighties and nineties. Although he made many, many films – Spartacus (1960) was not among them. 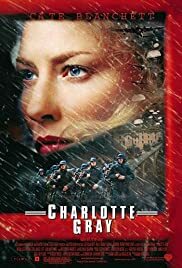 I have seen the movie a number of times, and one of the slaves who jumps to his feet shouting, ‘I’m Spartacus’, sure looks like George – but it ain’t. The man is, in fact, a stuntman named Bob Morgan who bore a striking resemblance to Kennedy. Morgan was married to Yvonne de Carlo and would later lose his leg in a mishap aboard a log-train in How the West was Won (1962). George underwent triple bypass surgery in 2002, which gave him a further 14 years of life until his demise in February at the age of 91. Between 1957 and 1962 Robert Horton appeared in 188 episodes of Wagon Train as the scout Flint McCullough. I know this for a fact because I saw every one of them. Flint was my hero you see, at least he was until girls and the Beatles (in that order) came along. Bob Horton only made 18 movies, most of them tele-movies or uncredited bits, but he was really popular on TV. One of his wives was the pretty Barbara Ruick who delightfully played Carrie Pipperidge in Carousel (1956). His relationship with Ward Bond (Seth Adams) on Wagon Train was always tense. Horton said it was because Bond constantly spread false rumors about his sexuality. A very private person, Bob was a longtime friend of Ronald Reagan and a staunch Republican. He retired from the screen at 65 and passed away 26 years later in March 2016. Another western star to die in 2016 was former Marine Corps Drill Instructor Hugh O’Brian, an actor primarily known for playing the title role in the TV series The Life and Times of Wyatt Earp. Actress Ida Lupino discovered him and Universal signed him to a contract after the war. When Hugh found himself getting Rock Hudson’s leftovers at Universal he decided to freelance instead. In 1955 he landed the Wyatt Earp role and became an ‘overnight success’, although it had taken him more than a decade to make it. Many fans might be surprised to learn that he spent nine days working as a volunteer with Dr Albert Schweitzer in Africa in the fifties. On his return to America in 1958 he set up the Hugh O’Brian Youth Leadership (HOBY), inspired by Schweitzer, a non-profit organization aimed at helping high school scholars. More than 375,000 high school sophomores selected by their schools have gone through the program. Hugh developed a close friendship with Marilyn Monroe after making There’s No Business Like Show Business in 1954. In 2006 the 81 year-old actor married his 54 year-old girlfriend of 18 years, a teacher named Virginia Barber, in a ceremony at Forest Lawn Memorial Park in Glendale, California. It was his only marriage. Close friend Debbie Reynolds serenaded the couple. On-screen Hugh O’Brian always came across as rather haughty and a trifle vain, which was a pity, for he seems to have spent his life selflessly and in the service of others. Steven Hill co-starred with Hedy Lamarr as far back as 1950 in A Lady Without Passport, and was still performing strongly in TV’s Law and Order when he suddenly chose to leave and enjoy his retirement in 2000. In 1966 he was chosen for the new series Mission Impossible, but was replaced by Peter Graves after one season because his religion as an Orthodox Jew would not permit him to work on Saturdays – the Jewish Sabbath. As a founding member of the Actor’s Studio he was friends with Marlon Brando, Montgomery Clift and Gene Hackman long before they were famous. He died in August from undisclosed causes. I have seen Casablanca (1942) a lot of times and have always been more entranced by Madeleine LeBeau than by Ingrid Bergman. Madeleine was the French girl who led the customers in Rick’s Café in ‘La Marseillaise’. At the time of making Casablanca she was married to Marcel Dalio who played Emil the croupier in the picture. The couple had fled France just ahead of the Nazis in 1940. Many of the singers in that scene in Rick’s were real life refugees from the Nazis and their tears were real – including Madeleine’s. She and Marcel divorced in 1942. Forty-six years later she married Italian writer Tullio Pinelli. The truly lovely French actress died in Spain in May following complications that arose from breaking her thigh bone. She was 92. 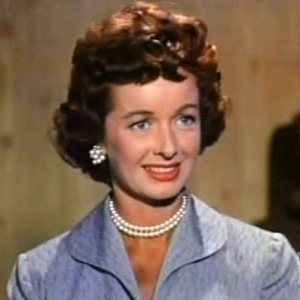 Noel Neill played Lois Lane in the fifties TV series The Adventures of Superman, the show that made the ill-fated George Reeves a household name. Long before that she was a fine cabaret singer who performed at the best nightclubs – Ciro’s, the Mocambo and the Trocadero, to name but three. Equally surprising, during World War Two she was the second most popular pin-up behind Betty Grable for American GIs. She adored Reeves and has always said he gave no inkling of being sad or depressed prior to his death. Noel never said she thought he was murdered, however. ‘I just don’t know what happened’, she said. ‘All I know is that George always seemed happy to me, and I saw him two days before he died and he was still happy then.’ She passed away, well into her nineties, in Tucson, Arizona in July after a long illness. Born in England, raised in Scotland and Canada, Alan Young was a radio performer in America for many years before his chance at television fame came along in the shape of a character called Wilbur Post in the popular ‘talking-horse’ series titled Mister Ed. Young played Wilbur from 1958 until 1963. He also enjoyed a showy role in the Rod Taylor sci-fi classic The Time Machine (1960), and was the voice of Scrooge McDuck in 1987’s Duck Tales. Alan died of natural causes in May at the ripe old age of 96. Zsa Zsa died just 50 days short of her 100th birthday. The former Miss Hungary (1936) only made a handful of films, appeared on TV shows (often as herself), but was known more as a celebrity than anything else. She was more or less the blueprint for the Kardashians; a talentless, walking, magazine article, with beauty and little or no substance. Zsa Zsa went through nine rich husbands, had one child, and was the ex-step-great-grandmother of the ultimate airhead Paris Hilton. Not many people live for almost a hundred years, go through millions of dollars, and contribute nothing to the world or anyone in it. She did. Stars we lost in 2016 – PT 1. My Top 10 Movies of 1968.